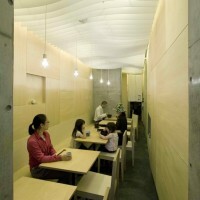 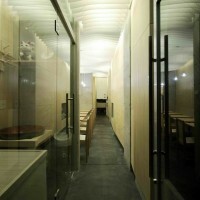 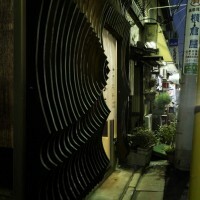 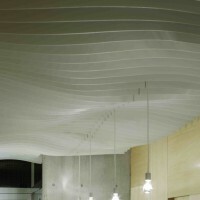 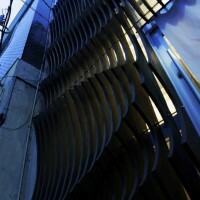 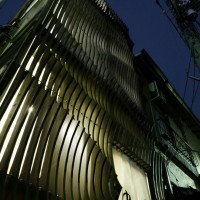 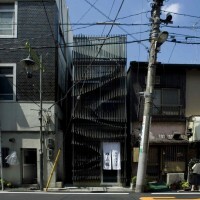 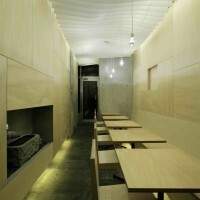 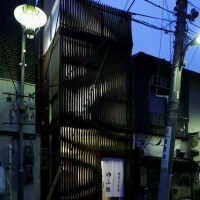 ISSHO Architects have designed the Yufutoku Restaurant in Tokyo, Japan. 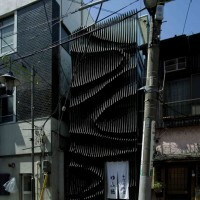 Located in central Tokyo, right around the corner from the major thoroughfare Meguro Street, is a ‘soba’ noodle shop, the owner’s residence situated above. 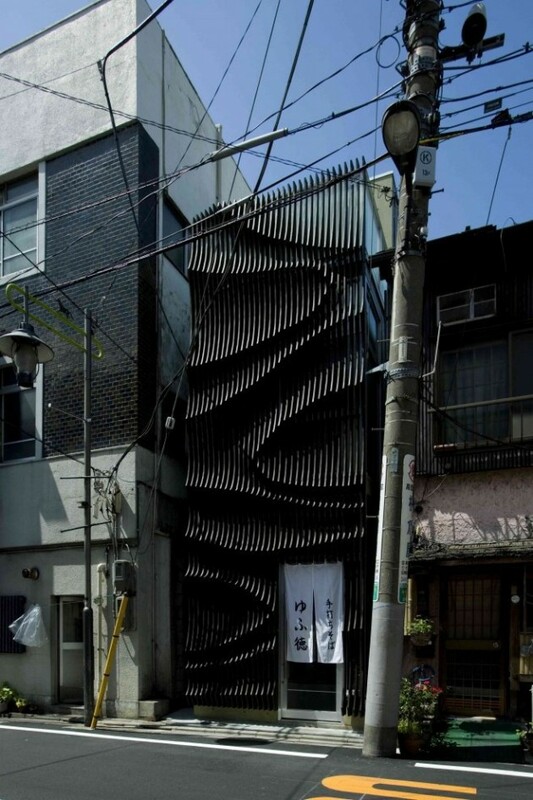 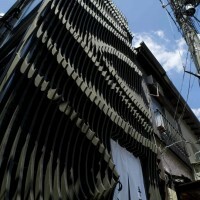 The building has Machiya-style wooden louvers, invoking a traditional Japanese townhouse, but the depth of each louver is varied sequentially across the face. 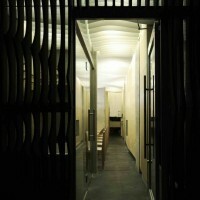 Regionally different patterns of light spill through the façade from the interior, allowing a gradual change of character at dawn, especially as viewed from the main street.